One for you Panther experts. 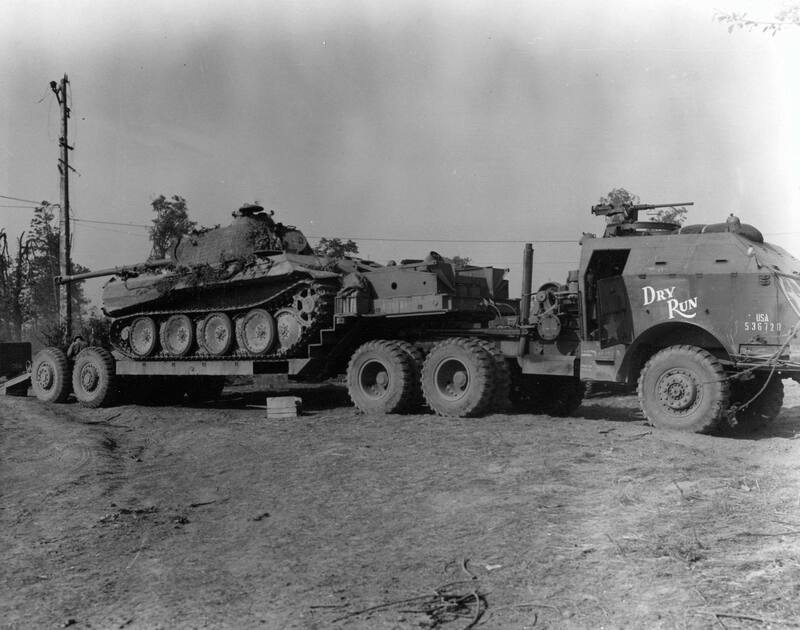 Any idea of the model of the Panther on the back of this dragon wagon? concave wheels would indicate an older one? The shape of the hull at the back end would suggest a D or A. If we could see the front properly,the machine gun aperture would confirm the mark. The commander's cupola is an A. But some D's were retrofitted with it. So I've been no help at all. I couldn't tell even with a magnifying glass. The ball mount makes it an A,I don't think any D's had it retrofitted. The photo on your link is much clearer. I have been following this geezers work for the last 5-6 years and get regular updates of his latest work. That bloke is extremely talented, they are really impressive. Thanks Daz, that pic is much clearer than mine. Got the DW, just need the right Panther. A guy on Missing Lynx reckons it's an A, but I have no idea. 1:1 scale I think, made by MAN or Daimler Benz. Bloody hell! Superb. I'm stalking him now on Flickr. But are they not on the wrong side of the road? He uses a point and shoot.. Put some up here! Bet you're being a bit hard on yourself. This one is just about done now. Need to glue in the stowage (and possibly add a bit more), then decals and weathering which should tone down the blue a bit. As @Sadurian said earlier it's a cracking little kit, which despite being 40 years old now, has really stood the test of time. Really nice job but very cruel to display to a man with little time on his hands - I am now itching to grab the glue and paint but real life makes that impractical. That is really, really top work. Super paint job. Is that base yours too?